Alaskan paradise found! Stunning post and beam waterfront home on the bay. 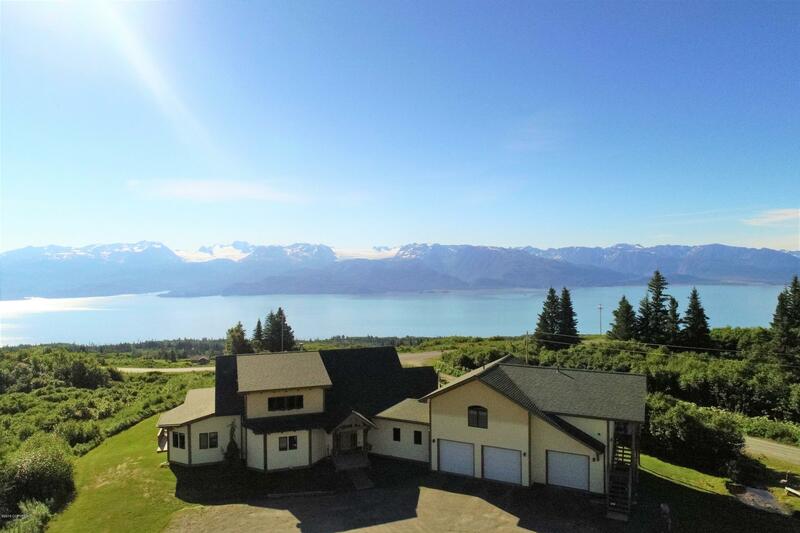 Timber frame construction with panoramic views of mountains, glaciers and Kachamak Bay. Satellite TV and private baths in each room. Soapstone Tulikivi stove; Year-round indoor sauna and a seasonal hot tub located on a covered cedar deck great for entertaining. 5 master suites, two common areas and a 3 room apartment. The location is perfect for a large or a bed-and-breakfast. With fishing galore on the world-famous Kachemak bay and nearby glaciers available for helicopter tours, imagination is all you need to create the perfect business. It is located at the foot of the Caribou Hills and could be used as a snowmachine lodge for winter fun.